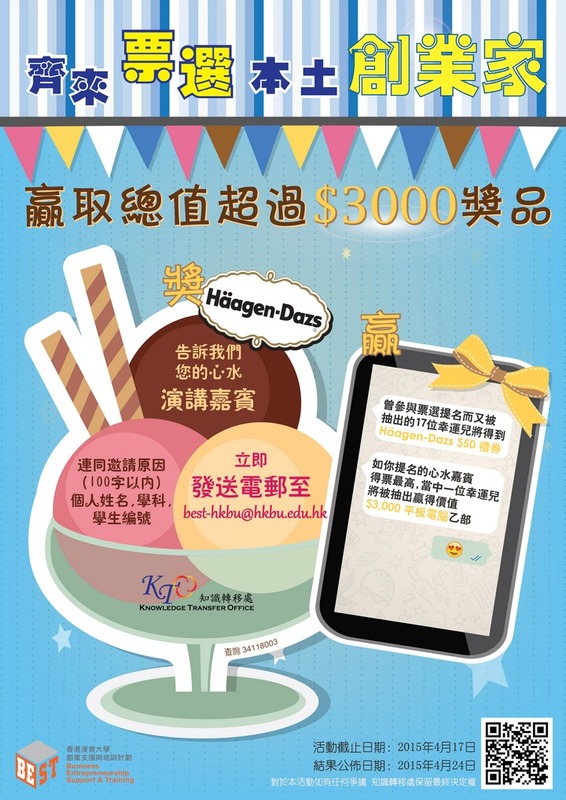 Choose your favourite local entrepreneur and win prizes worth over HKD$3,000! Have you ever been bothered by not having the Guest Speakers on your mind to come to BU for talks? Among the participants whose nominated entrepreneur has the highest vote, ONE lucky winner will be drawn to win a smart tablet worth HKD$3,000! *In case of any dispute arising from the Activity, the decision of Knowledge Transfer Office shall be final.